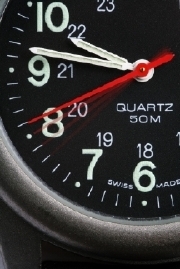 Will the Quartz Clock Ever be Collectable? Before the advent of the quartz clock, there was something soothing about the tick of an old clock that indicates the rhythm of the world. That subtle tick-tock of the pendulum in the background, and even the chiming of the hour and half hour that fades from consciousness when you hear the clock every day, is a reminder that time and life moves on with same speed as it did for humans centuries ago and will continue until the end of the world. There’s just so much to appreciate in the intricacy of the mechanical clock’s gears and their interaction that are responsible for keeping accurate time. And should the clock fail to keep time properly, a person skilled in clock repair can restore the timepiece sometimes just by subtle adjustments to gears and bushings. 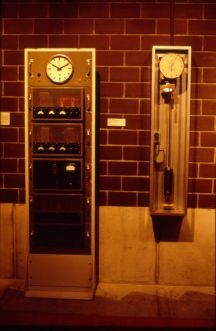 The change to quartz crystal clocks was hampered by lack of technology in producing quartz crystals that exhibited the piezoelectric effects. But with improvements in manufacturing processes, the crystal industry in the United States produced in the neighborhood of 10,000 crystals per year in 1939. Quartz crystals were needed by the military during World War II for communications gear and by 1943 there were some 130 manufacturers of crystal units. Meanwhile, some quartz clocks were being manufactured. It wasn’t until the 1960’s that The Hattori Seiko company of Japan and the Swiss Center for Electric Horology independently developed quartz crystal wristwatches. These are called analogue quartz watches because they are based upon a drive motor. At the same time, the U.S. Hamilton Watch Company introduced a solid-state quartz watch with no moving parts whatsoever. Inexpensive quartz watches are now worn by millions of people around the world. Advances in technology have replaced the original quartz clock metal components with specialized molded plastics and printed film circuitry. The fine precision gearing of the old and prized mechanical watch has been replaced by the efficient circuitry of the technological era. As for most of the clocks we buy today, those brass gears have been replaced by a square plastic box that contains a quartz clock. Perhaps fifty years from now the quartz crystal watch or clock of today in working condition will become a prized collector’s item. Why? All the used inexpensive quartz timepieces were thrown away and crushed by garbage trucks!